Very nice. Scagel lived just 8 miles from me. You would think there would be all kinds of Scagel knives around but I have yet to find one. That is awesome, I love the stag! 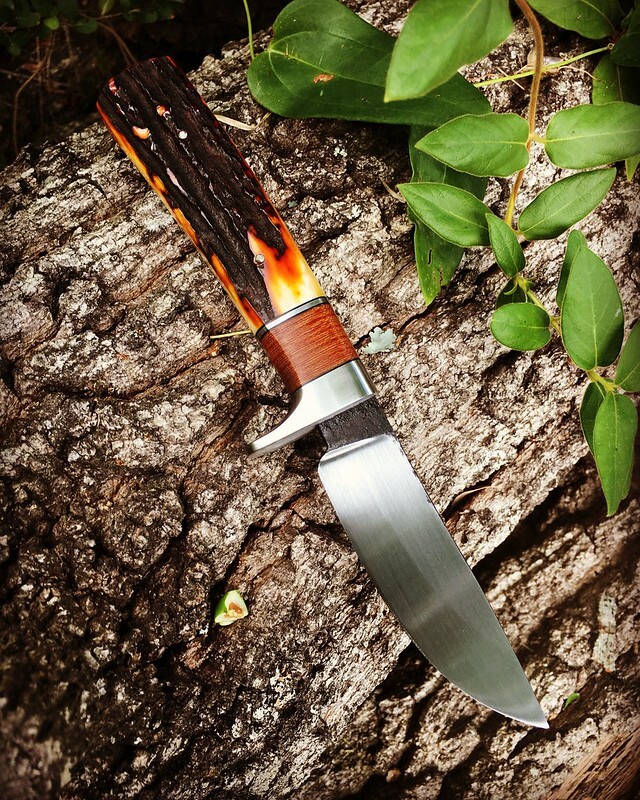 There is one listed for $10,000.00 on the Muskegon, Michigan craigslist page if anyone wants to see what a Scagel looks like to compare with the OP's knife. Pretty darn close. 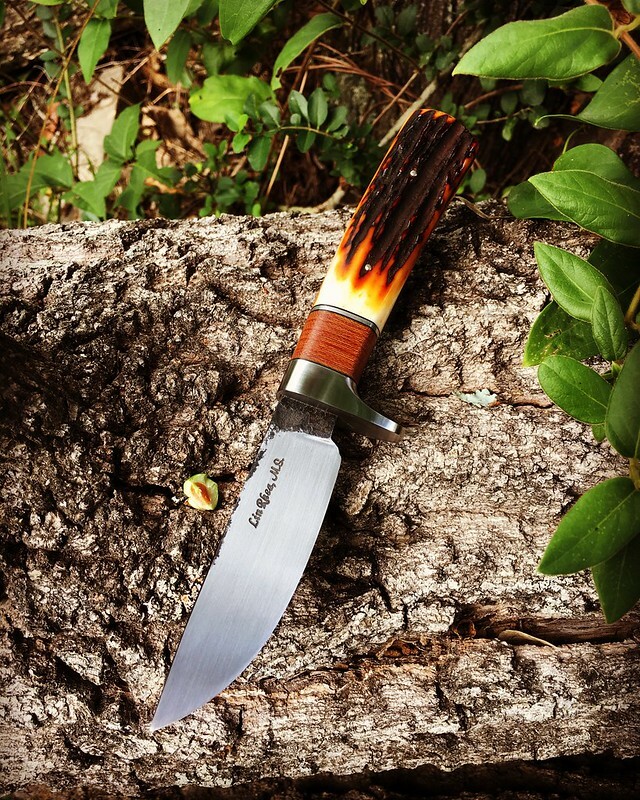 Beautiful knife Lin! Question...the second picture looks like you edge quenched it? If so, is that what you usually do? Jeff, While I think of this as an edge quench, technically, I only heated the edge to critical and fully submerged the blade. I do this on smaller blades often but not always. When I can use that visible line to enhance or compliment the shape of the blade, I will. I have practiced this technique a lot and have rejected a few that didn't look right, or used another technique altogether as long as it didn't detract from it. When I say I have practiced, I mean not only in the look but also in the heat control. I use a torch with a brazing tip. I'm careful not to heat the area to harden up into the grain growth temps and thus undo the benefits of my, already done, thermo cycling. I've seen Joe Keeslar use a torch for quenching and a video of Ed Caffrey doing it. I've edge quenched in the past with the entire blade at critical but didn't think my results were consistent. How high on the blade do you heat the edge to critical before a total quench? Jeff, I heat up about 1/2 inch of the edge. I start where there’s more mass and sort of paint the heat into it. Swapping sides during the heating.